Lightly flavored with orange, Forever Freedom is a product specifically designed to work on the joints. 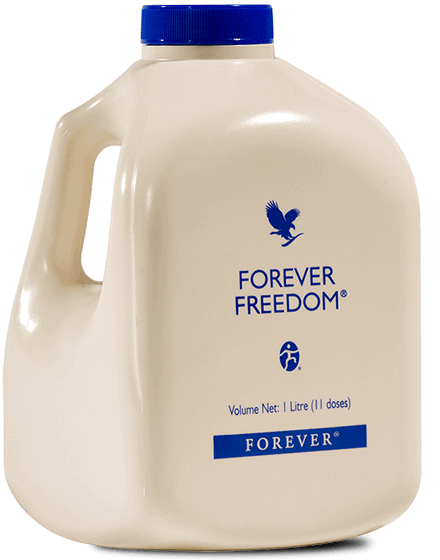 Forever Freedom is a base of Aloe Vera gel combined with sulphate of Glucosamine , Chondroitin Sulfate and MSM (Methyl Sulfonyl Methane), as well as Vitamin C >. Forever Freedom has been specifically designed to benefit your joints , your bones and cartilages, and to relieve the symptoms of joint discomfort and prevent their recurrence. 88.99% cold stabilized Aloe Vera pulp, patent unique in the world to preserve the qualities of the raw plant. The plastic used for the bottle is from a NASA patent, its 3 layers ensure total opacity, thus protecting the pulp from the harmful effects of light. The main targets of its three elements in Forever Freedom are collagen, bone and cartilage. Of the family of osamines, glucosamine, based on glucose, helps prevent certain diseases that affect the joints including osteoarthritis that often attack parts of the hips and knees. It promotes the lubricating action of the synovial fluid and its effects are beneficial for the bones as for the cartilage. Chondroitin sulfate also plays an important role in joint comfort. It is a component that retains the strength and flexibility of the joints. Like glucosamine sulphate, chondroïtine is known to help slow the progression of osteoarthritis symptoms, as well as early aging of joint tissues. As for Methyl Sulfonyl Methane or MSM, present in smaller quantities, which is a sulfur component, the latter is equally renowned for its effects of relieving joint pain. It also contributes to the proper functioning of the joints and the maintenance of their health. The Aloe Vera pulp, combined with its three elements, makes Forever Freedom and is an effective solution in the maintenance good joint health. Forever Freedom is a product with outstanding qualities that is ideal for sportsmen and women alike during training and competitions, but also for people with joint problems. Aloe Vera increases the natural defenses. L’Aloe Vera contained in Forever Freedom contributes to the proper functioning of natural defenses and strengthens the immune system. Forever Freedom is specially designed to feed the cartilage. The aloe vera gel contained in Forever Freedom is known to be 5 times more moisturizing than water because of its wealth of bio-available minirals. The Forever Freedom formula is particularly suited to athletes with joint problems or wanting to recover faster after an injury. 30 to 40 ml, 3 times a day on an empty stomach, 90 to 120 ml in the morning on an empty stomach, Forever Freedom is deliciously scented with orange. Shake lightly before serving. Available in pack of 3. 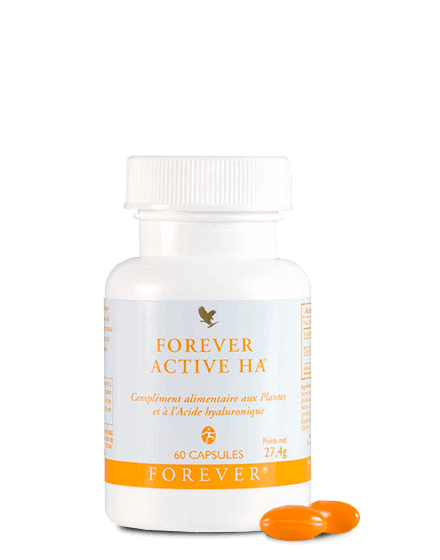 Forever Active HA contains Hyaluronic Acid, which is especially used to provide better joint comfort, so it will work very well with Forever Freedom. Sulfur-enriched MSM (Methyl Sulfonyl Methane) Cream will come in combination with Forever Freedom to relieve the joints externally. Specifically designed to facilitate everyday movements through the combination of eggshell membrane and turmeric. 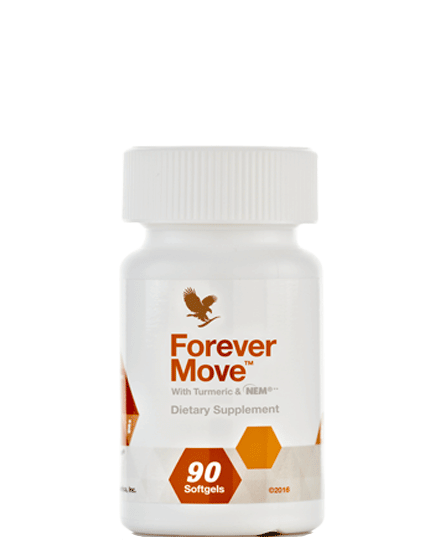 Forever Move combined with Forever Freedom, the ideal combination for your joint well-being. I had knee joint problems and thanks to Forever Freedom it’s gone !!! Since my husband drinks freedom,it’s a wind of freedom and vitality every day ! thanks to this wonderful plant. How much Forever Freedom should I drink? The recommended dose per day is between 90 and 120 ml per day. But some people in the attack phase can take doses of up to 150 ml per day. Can I mix Forever Freedom with something else if I do not like the taste? We can find in Forever Freedom a little taste of sulfur, this is normal, you can mix your Forever Freedom with a fruit juice or water. When is the best time to drink Forever Freedom? The ideal is to drink your aloe vera gel in the morning on an empty stomach in one take. But you can also take it in 3 times, the important thing is to take it on an empty stomach and wait at least 5 minutes before drinking a hot drink so as not to alter the raw quality of the plant. After how long will I feel the effects of Forever Freedom? There is no rule, that varies from person to person. In general, most people experience positive effects at the beginning of the third bottle (between 3 and 4 weeks with a dose of 90 ml per day) but there are people who see an improvement after the first week and others not before 3 months. It all depends on the poisoning of your body and its level of tone. How to store Forever Freedom? If the bottle has not been opened you can keep the can of the aloe vera gel about 2 years out of the fridge in a cool and dry place without problem. On the other hand, once opened, the bottle must be stored in the refrigerator and consumed within 2 months. If we did not answer all your questions, feel free to ask them.